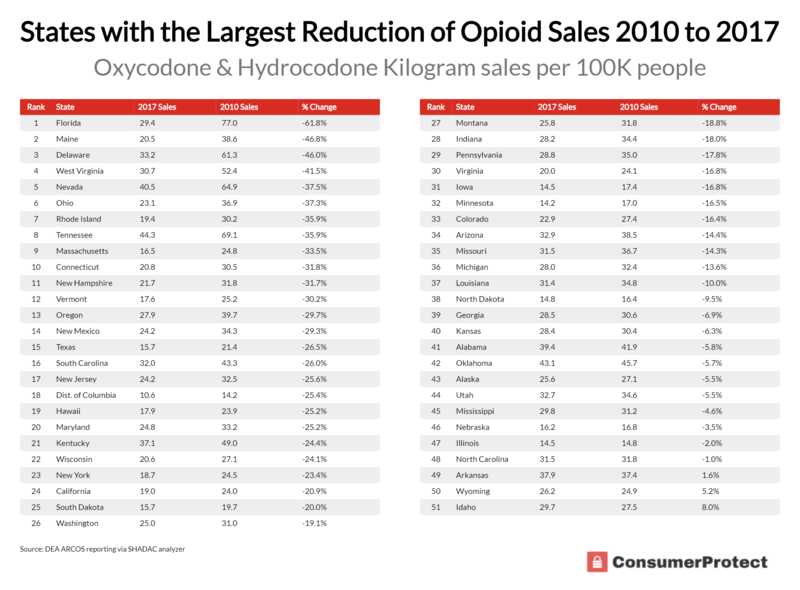 We decided to analyze government data provided by the Drug Enforcement Agency of controlled substances sales to look at the per capita opioid sales by state and over time. 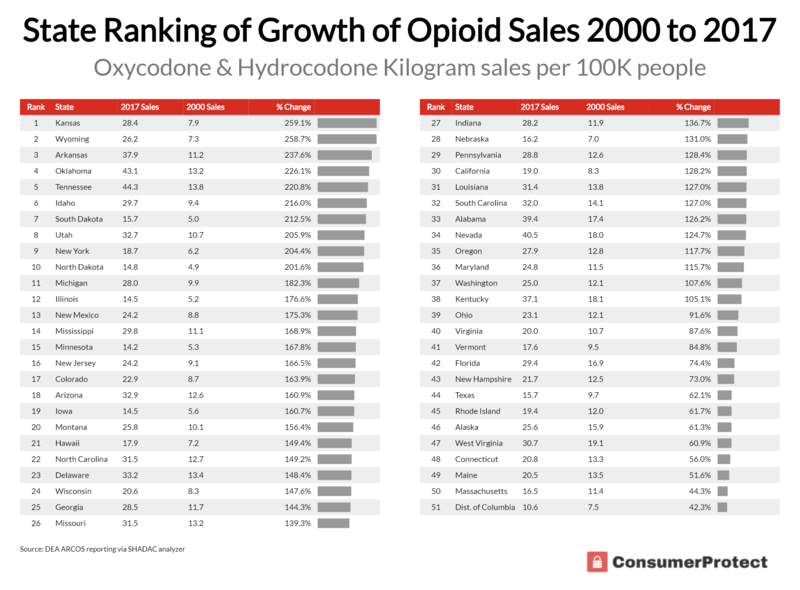 While further analysis is required, we found a positive relationship between past legal opioid sales and fatal drug overdoses in 2016 (the most recent year the data is available). 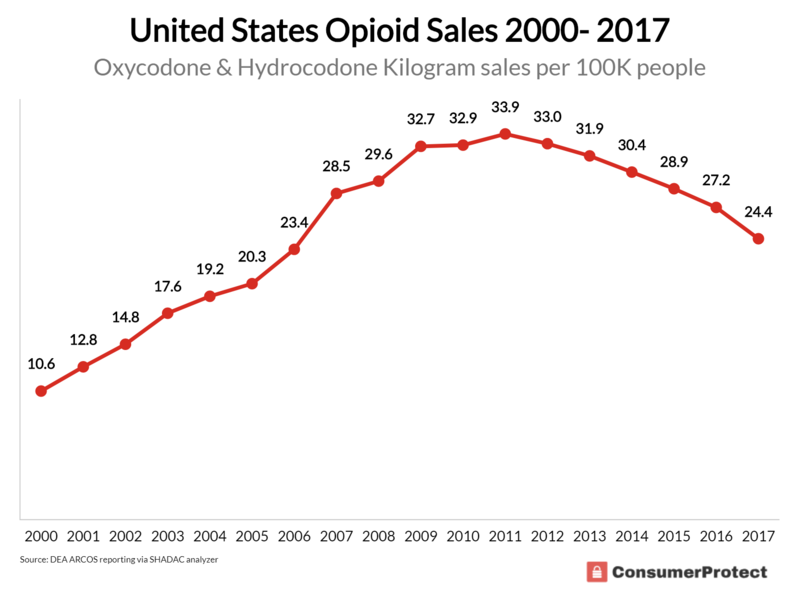 The data provides some credence to the thesis that legal sales of prescription drugs in the past helped hasten the dramatic crisis going on today. 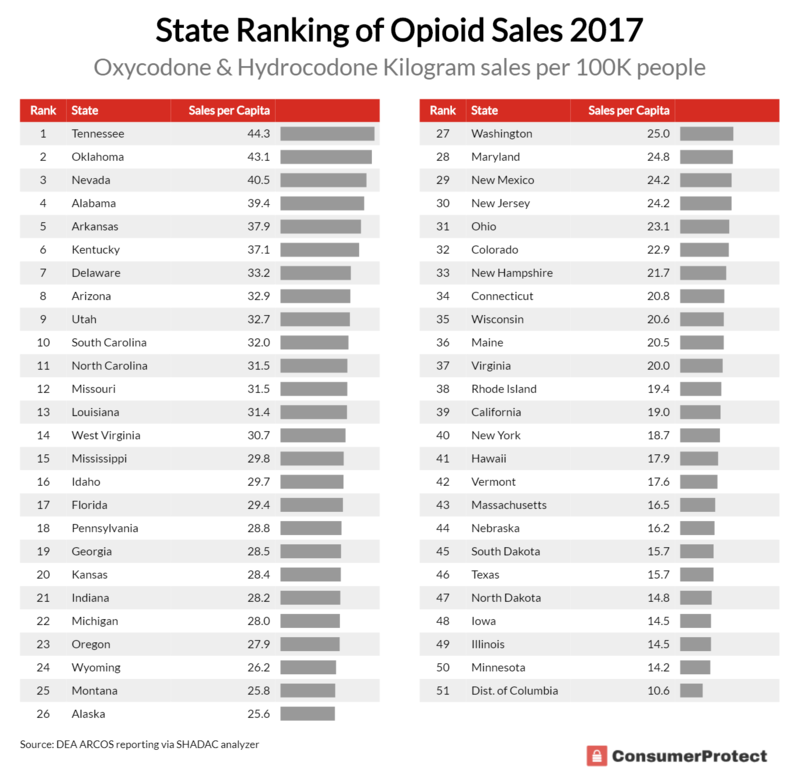 What’s more, this data highlights the magnitude of the opioid epidemic in places like West Virginia where the death rates from drugs are nearly off the chart.